Newbery Medal winner Kate DiCamillo’s newest contribution to wonderful children’s stories – Flora and Ulysses – involves the adventures of a young girl with a superhero squirrel. When the squirrel survives getting sucked into a vacuum cleaner, he attains superpowers: he can fly, think (mostly about how hungry he is), type, and write poetry. 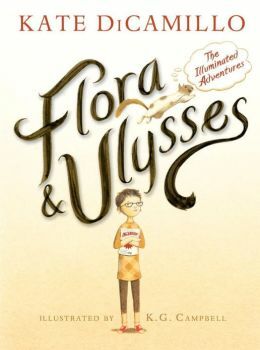 After a series of hilarious missteps, Ulysses saves the day and reunites Flora’s family. DiCamillo combines humor with pathos as she targets the anxieties of Flora and her friend William, who are both suffering through changes in their families. K.G. Campbell’s artwork adds to the story with cartoon frames interspersed into the narrative. In this story, the adults learn the lessons of love, patience, and perseverance from the children, and, of course, from Ulysses, the poetic squirrel. A book a child could share with a favorite adult – maybe even read aloud. Best known for the Newbery Award winning book Homecoming, a compassionate and adventurous tale of a lost family of abandoned children, Cynthia Voigt has written a number of children’s books since her first success, with her most recent – Mister Max: The Book of Lost Things – as the first in a new series. 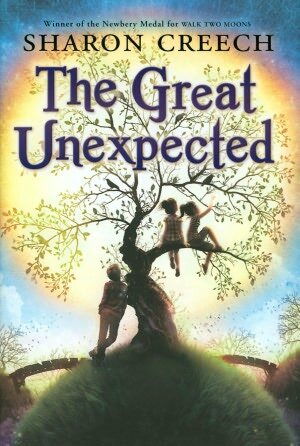 The premise is familiar: Max’s parents mysteriously disappear, leaving him behind to live with his librarian grandmother. Young Max pursues a series of detective jobs to earn money as the search for his parents continues. I persevered through Max’s search for a lost dog and his disguises in his actor parents’ costumes (they own the Starling theater), but when he “solves” the case of the mysterious missing spoon by finding that it had fallen behind the cabinet, I skipped to the last few pages to see if Max found his parents. He does – sort of. Since this is the first of three in the series, Voigt creates a scenario to tease readers into the next book. Unfortunately, the action is too slow, the crime-solving is tedious, and I found myself not interested in Max’s story. 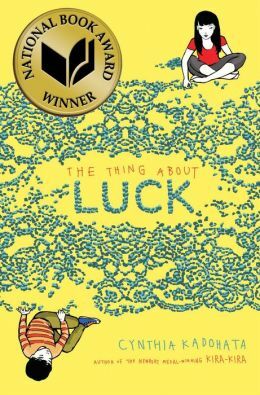 Author of the Newbery winning book, Kira-Kira, Cynthia Kadahata’s new children’s book – The Thing About Luck – again taps into the Japanese family ethic, offering cultural insights as the 2013 National Book Award Winner for Young People’s Literature. With the hard life of the combine operator who follows the wheat harvest as the catalyst for the story, Kadohata taps into the thoughts of a twelve-year-old girl as she changes into a responsible adult. Although the details of machine operation and time-sensitive crops were more than I needed, the family dynamics of Summer with her Japanese grandparents who work on a wheat-harvesting crew mix well with the occasional pithy advice. Overcoming her fears of mosquitos, boys, and growing up, Summer manages to save the family – with a little humor and a lot of inner courage. In his picture book about a puppy who yearns to write, Tad Hills explores the love of books in Rocket Writes a Story. With his little yellow bird friend, Rocket seeks inspiration from the world around him and creates a word tree. When he hits writer’s block, an owl comes to his rescue. This sequel to Rocket Learns to Read has obvious potential for teaching, but also offers quiet satisfaction in books that both adults and children can share. As I read, I was reminded of a good friend and expert quilter who had designed a rocket blanket for her grandson – a real rocket who might enjoy the story too. In this coming of age tale about two forlorn Irish American orphans, Creech connects the friendship of two young girls to a mysterious benefactor “across the ocean” and a cast of eccentric townspeople, who all seem related. The delightful girls are complements for each other: Naomi, curious but cautiously quiet, is suspicious of dogs since one mauled her as a baby and killed her father; Lizzie, an outgoing chatterbox, longs for her foster parents to adopt her. The action is stirred by mysterious characters: Finn, an attractive yet strange Irish boy who drops out of a tree, and the Dingle Dangle man, an outsider who seems to be investigating the girls. Creech sustains the mystery with props that later explain the resolution – a crooked bridge, trunks full of old treasures, and a pair of rooks. He was gruff and tough and reminded me of my short grandfather. He wrote honestly and never talked down to children. He was a natural talent, never taking a class in how to write or how to draw. He grew up in Brooklyn and lived in Connecticut. He stayed with his partner for 50 years. He laughed when the librarians drew a diaper on his drawing of a naked baby. He scowled when they tried to ban his books. 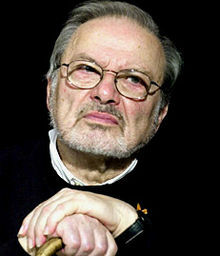 He reinvented himself in old age, designing scenery for operas. He inspired children; he inspired me. I was hoping to see him return to the Colbert Report, but his endorsement (The sad thing is, I like it) of Colbert’s “I Am A Pole” book on his first visit will always be one of my favorite shows. Luckily, he left behind lots of books with his signature style.